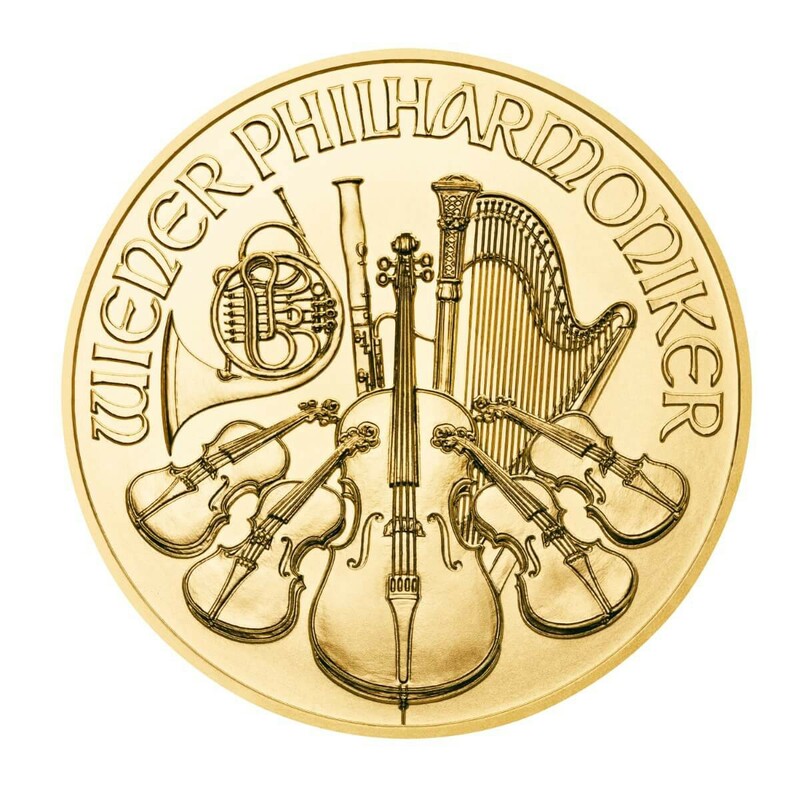 The Gold Vienna Philharmonic is Austria’s 1 Ounce bullion coin. 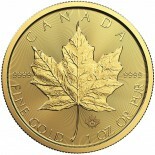 This €100 face value coin has been minted since 1989. 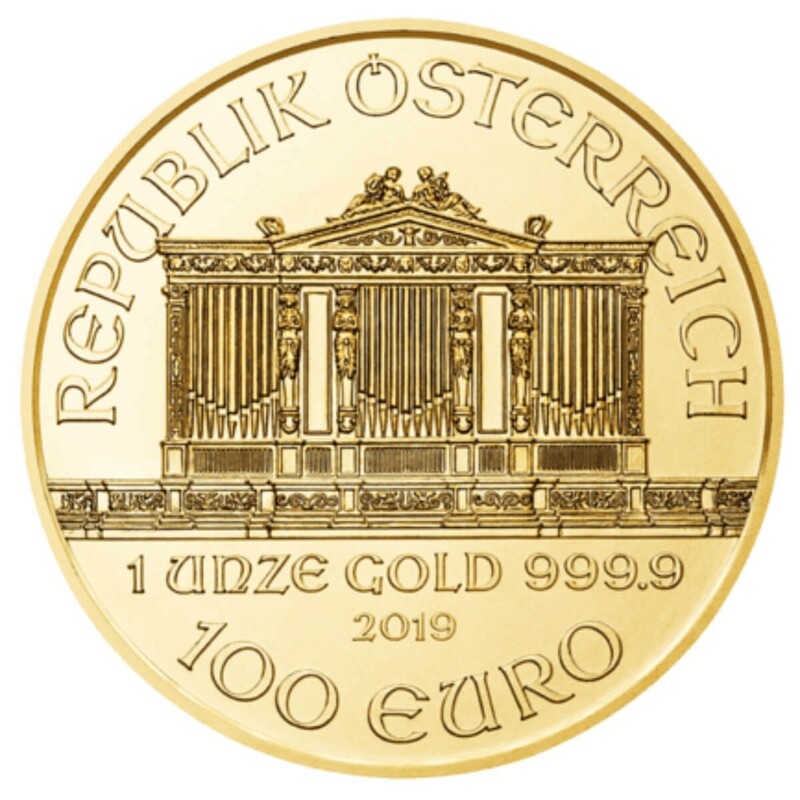 It contains 1 Ounce of .9999 gold, featuring the instruments of the Vienna Philharmonic on the reverse and the Musikverein Pipe Organ on the front, along with weight, purity and nominal face value. 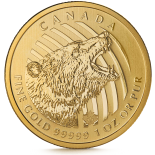 The Philharmonic is one of the more popular bullion coins in Europe, being the only gold bullion coin denominated in Euros. 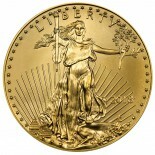 The Philharmonic appears larger than most 1 ounce bullion coins due to its thin edge. 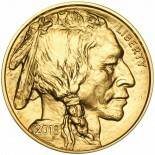 These coins were minted in 2019.